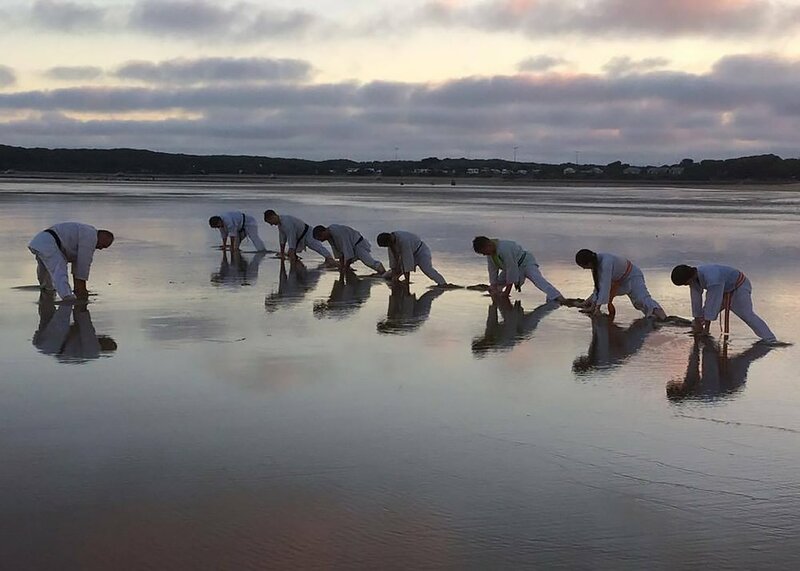 The Ocean Grove Bellarine Martial Arts Centre runs weekly karate classes for children and adults. Learn and practice karate, self-defence, non-contact and full-contact fighting in a safe and controlled environment. Develop motor skills, strength,fitness and self conﬁdence. Learn to respect themselves and others. Students have the opportunity to participate in local and interstate tournaments and to compete on the international stage. The club is run by enthusiastic and dedicated female and male instructors in a nurturing and safe environment. It is about having fun, sweating and making friends! The first 2 classes are free! Training takes place in our very own dedicated and well equipped dojo (gym). The dojo is located in Ocean Grove (map). It includes a comfortable lounge area for visitors or parents who wish to remain for the duration of their child's class. Shihan Dave Jacobs is the current State and National treasurer of the World Karate Organisation (WKO) Shinkyokushin organisation in Australia and National Chief of Referees for the association. Shihan David Jacobs has 40 years experience in Kyokushin Karate. Shihan David successfully graded to Shihan, 5th Dan, in Russia in 2009. Sensei Sue graded for her black belt in 1994. In 1996 she obtained her 2nd Dan and in 2009 her 3rd Dan. Sue has competed in many tournaments including the Women’s World Championships. 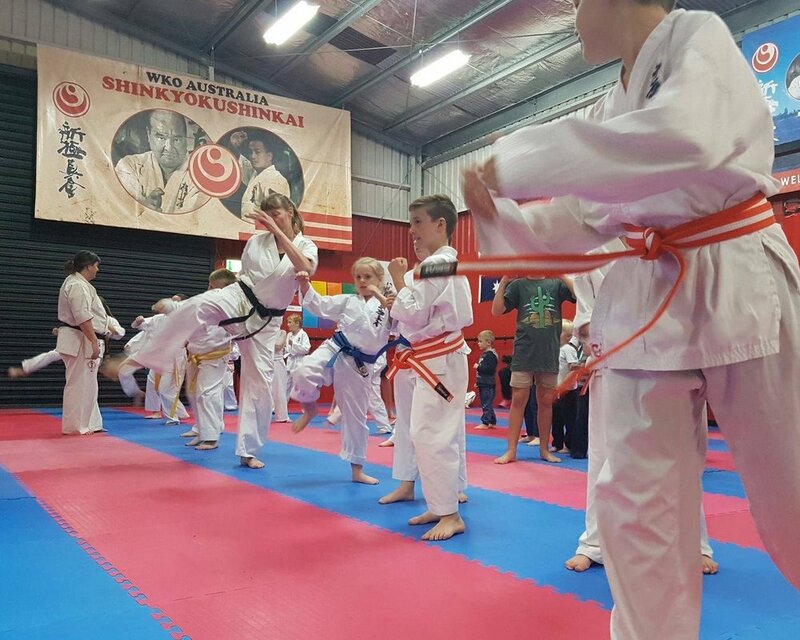 The Bellarine Martial Arts Centre is a member of the World Karate Organisation (WKO - Japan). We are a not-for-profit organisation. In our 20 years of operation, we have produced state and national champions. More about the association here. Our junior classes are structured around the following skills: concentration, discipline, confidence, self discipline, motor skills, flexibility, self-defence and fun! We pride ourselves on making learning fun. We also work on encouraging children to be their best and not to compare themselves to others. Learn and practice karate and self-defence in a safe and controlled environment. Work on your fitness, improve your flexibility, confidence, practical self-defence and fighting skills. Participate in competitive tournaments, contact and non-contact fighting. We work with you to help you achieve realistic goals.